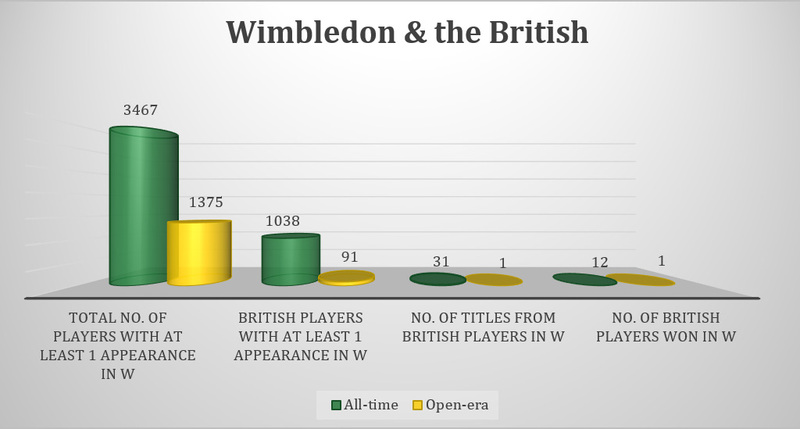 It will be the 129th Wimbledon Championships of all-time (2nd most of all-time) and the 48th in the Open-era (most in the Open-era tied with French Open). Will Federer reach his 10th Wimbledon final equaling Bill Tilden’s all-time record? Since 2005, first time in his career, Rafael Nadal will win his first Grand Slam of the year in Wimbledon? Will Nadal extand his all-time record streak of winning at least one Grand Slam title for 11 consecutive years? 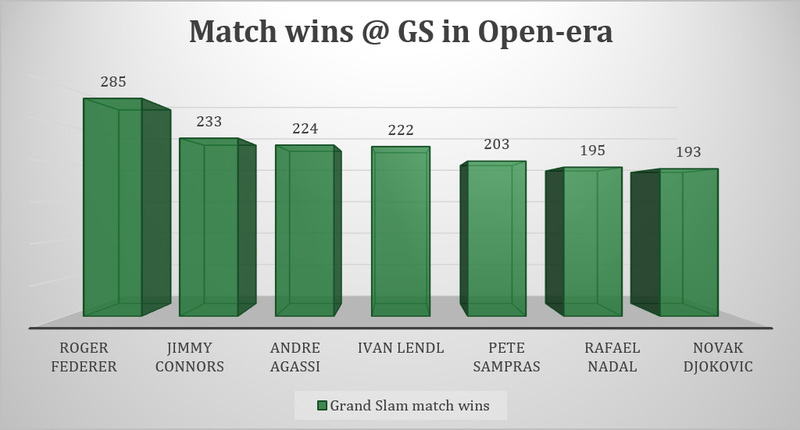 Nadal and/or Djokovic will be the 5th player in the Open-era who reaches his 200th match wins at Grand Slams? Since parting ways with Ivan Lendl, Andy Murray can break through and win his first title (with Mauresmo)? 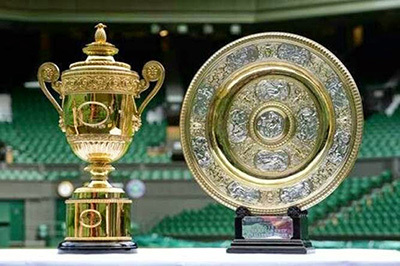 Or it will be a new champion, the 66th of Wimbledon? Will John Isner be the first US champion of the XXIth century in Wimbledon? By winning Wimbledon, John Isner will snap the second longest winless streak by US players winning Grand Slam title in Wimbledon? 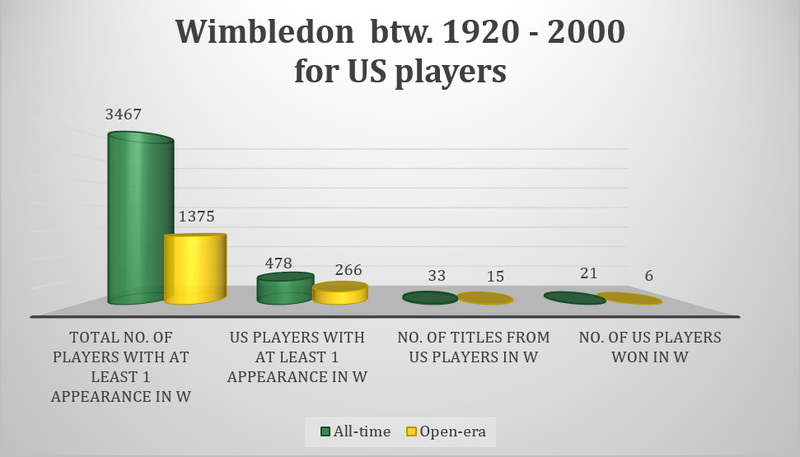 Since 1976, no player could win the title without losing a set. This trend will be changed this year? If Federer wins, the number of championships of Edberg-Federer combo will be doubled than the Becker-Djokovic. Since 2005, FIRST time in his career, Rafael Nadal arrived at Wimbledon without any Slam title in his hand…Will he able to win his first Grand Slam of the year in Wimbledon? If Nadal reaches the semifinal in Wimbledon, he will be the 5th player in Open-era who will have 200 match wins (not including the match won by walkover) at Grand Slams. Since parting ways with Ivan Lendl (March of 2014), Andy Murray can break through and win his FIRST title with Mauresmo? Since 2010, if Andy Murray played in the final at the first Grand Slam (Australian Open) of the year, he always reached at least the semifinal in Wimbledon in the same year. 2015 Australian Open (RU) – 2015 Wimbledon ??? Andy Murray NEVER lost matches in R128 and R64 in Wimbledon. Andy Murray NEVER played against Australian players in Wimbledon. Andy Murray will play his 50th Grand Slam match in R128 at Wimbledon’15. If Murray reaches the semifinal in Wimbledon, he will be the 11th player in Open-era who will have at least 150 match wins (not including the match won by walkover) at Grand Slams. By winning Wimbledon, John Isner will snap the 2nd longest winless streak by US players winning Grand Slam title in Wimbledon? 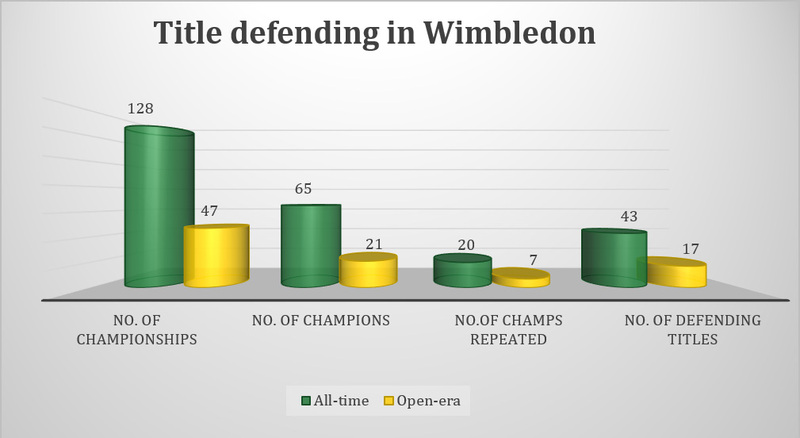 Since 1976, no player could win the title without losing a set in Wimbledon. This trend will be changed this year? 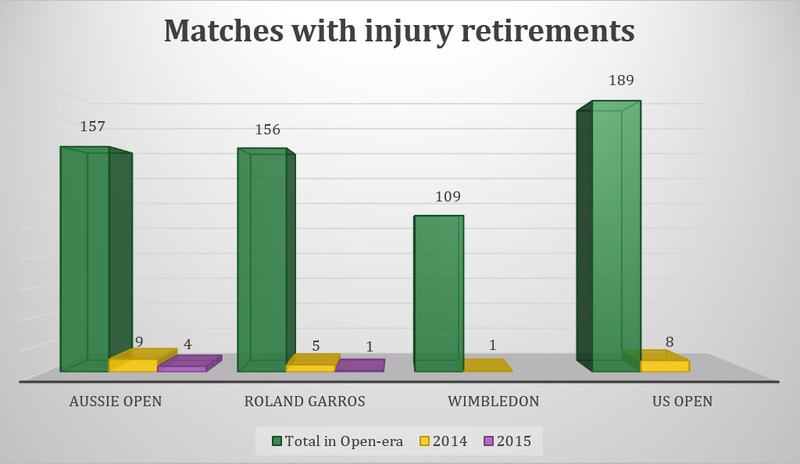 Wimbledon has the LOWEST ratio at matches in the Open-era when one of the players should have retired due to an injury (109). It will be the 110th match when a player had to give up because of injury? Or after 2012, it will be another championship without any retirement? In 2014, record-high 80 matches were played with at least one tie-break in Wimbledon. It meant that the 62,5% of the 128 matches had at least one Tiebreak. Since 1979, when the current tiebreak system came into force (at six games all in all sets except the last), 2325 matches had at least 1 tiebreak in Wimbledon which gives an average of 64,58%.